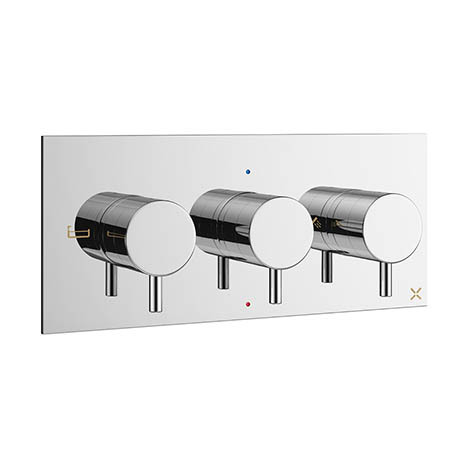 This shower valve is a high performance three control valve with a three-way diverter. It runs a single shower or bath outlet or for premium showering, switch to run two outlets at once. The perfect option for a bath with overhead shower and handset or a luxurious dual shower set up.